Patna Women’s College Admission, Patna Women’s College conducts examinations for B.A. / B.Sc. / B.Com. Honours for CBCS, Post Graduate Degree Course – MA in Home Science (2 years), MCA (3 years), Post Graduate Degree Course – PG Diploma in Fashion Designing (PGDFD), PG Diploma in Advertising and Marketing Management (PGDAMM), PG Diploma in Computer Applications (PGDCA) and other credit based and add-on courses. The candidates who want to take admmision in the above courses, it is a great opportunity for them. In July 2018 Patna Women’s College introduced a new system of Choice Based Credit System (CBCS) and Semester System for Undergraduate Courses. Which has helped many women in achieving various heights in there field. Candidates who are looking for detailed information regarding Patna Women’s College Admission. Latest: Application Form for Various courses has been released, Scroll down to check the same. Symbiosis Economics Admission 2019 - Apply Now!! If Candidates wants to know more about Eligibility Criteria, Application Process and detailed process of various courses mentioned above, should follow this page. We have provided the dates of start and end of application form, exam dates of all the courses. Candidates should submit the application form in the prescribed time provided by the university, so as take part in the admission process of the course they desire. B.A. / B.Sc. / B.Com. Honours for CBCS. B.A. (Core Courses) – English, Hindi, Sanskrit, Philosophy, History, Sociology, Economics, Political Science, Geography, Psychology, Home Science, Communicative English and Media Studies (CEMS) and Mass Communication (BMC). B.Sc. 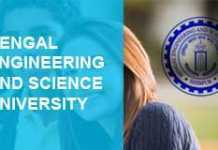 (Core Courses) – Physics, Chemistry, Zoology, Botany, Microbiology, Mathematics, Statistics and Computer Application (BCA). B.Com. (Core Courses) – Commerce, Business Administration(BBA) and Advertising and Marketing Management. For Vocational: Candidates who are appearing for the qualifying examination for the current academic year are also eligible to apply subject to the condition that they produce proof of having passed the qualifying examination with 50% for general and others and 45% for SC & ST only and have the required % of marks at the time of admission. For B.A & B.Sc: Must obtain less than 45 % marks in the subjects opted for honours study in the +2 or equivalent examination recognized by the govt. of Bihar, with not less than 45 % marks in the aggregate. For B.com: Should pass the +2 equivalent examination recognized by the govt. of Bihar in Arts or Science with not less than 50 % marks in aggregate / The candidates have passed the +2 equivalent examination recognized by the govt. of Bihar in arts or science with not less than 50 % marks in aggregate. Compartment / failed candidates will not be considered even if they have qualified in the entrance examination (Written + Viva). The applicants have to attach Xerox copies of qualifying examination and Caste Certificate issued by the C.O./ S.D.O./ DM. only along with the application form. Patna Women’s College ls leading institute in the field of Higher Education, whose main focus has been on quality and excellence. It was one of the first institutes of Higher Education Field to have started the needs of women education in Bihar. Thousands of motivated and empowered women have passed through the portals of this college and have entered various fields of life, many making a mark in our country and abroad. The College has come a long way when the pioneer took a difficult task of establishing a Women’s College at a time when only few people were broad minded to support the infant project of higher education for women which was frowned upon. For more detail on Patna Women’s College 2019 Admission, download notification. 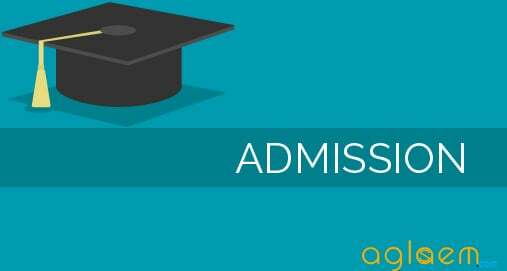 what is the age limit for admission in B.Sc and on what date, it will be calculated. There is no particular age limit defined.